This duo needs to introduction to Moniaive and have played here many times. According to Duck Baker, Steve is one of the top four finger style guitarists in the UK. He’s also a highly skilled luthier. Lynn Goulbourn is an exceptional singer and songwriter. 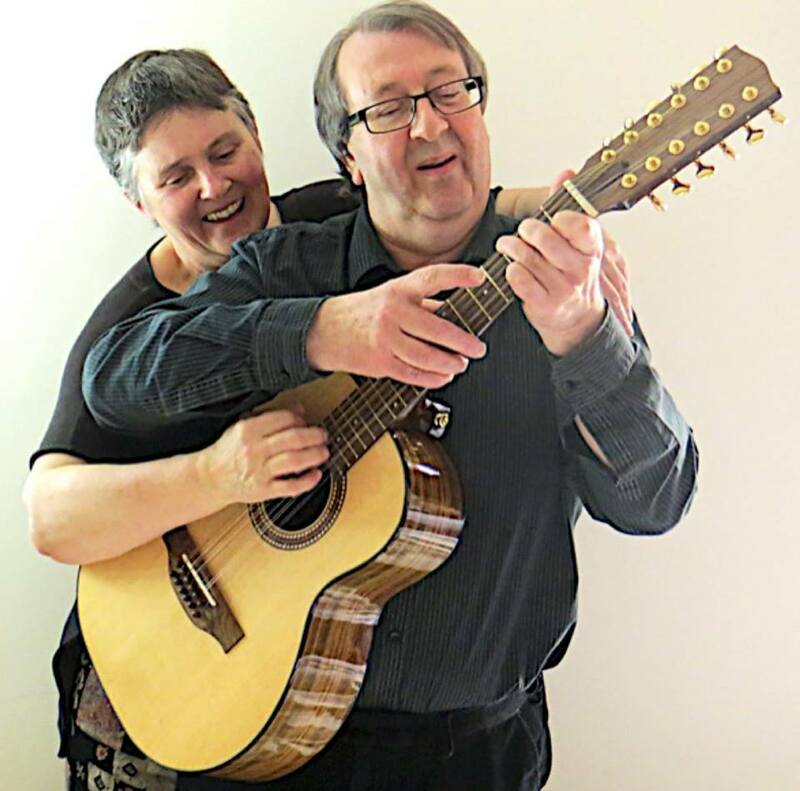 The music that they produce as the duo Hicks and Goulbourn is characterised by pure acoustic tones, reflective lyrics, well crafted arrangements and intricate, complicated guitar work. Their live performances are also highly entertaining with engaging anecdotes and humour. The festival will be a mixture of formal concerts, masterclasses, in conversation with the musicians and a chance to hang out with them in Scotland’s Famous Festival Village. Main Concerts – The Coach House.